Karnataka Chief Minister Siddaramaiah terms Supreme Court's order directing Karnataka to release 6,000 cusecs of Cauvery water to Tamil Nadu till September 27 as "unimplementable". He has also called for a cabinet as well as an all-party meeting on 21 September to discuss the issue. "....the Supreme Court has passed an order, since we do not have water, it is very difficult to implement it. It is an unimplementable order," he told reporters here. Siddaramaiah said Karnataka had placed certain facts based on ground reality before the Cauvery Supervisory Committee but it still passed an order directing the state to release 3,000 cusecs per day between 21 and 30 September. Noting the committee was constituted by the apex court only, he said it had given a direction on 5 September to Tamil Nadu to approach the committee and also asked Karnataka to file a response to the neighbouring state's plea. Despite all this, the Supreme Court has passed an order today, he said. 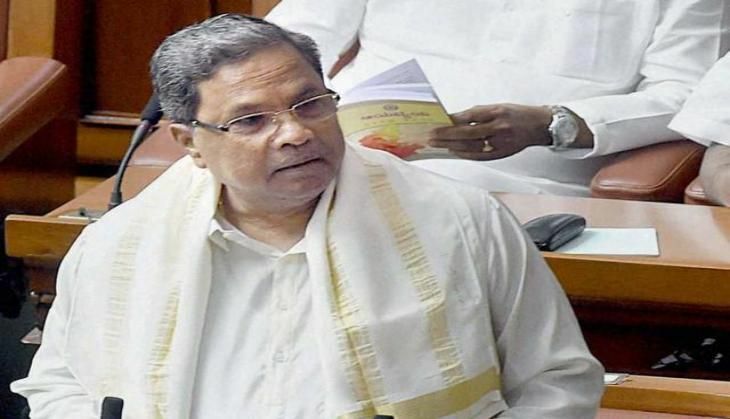 Siddaramaiah appealed to public to maintain peace, while assuring that the government "is committed" to protect the interest of the state and its people and farmers. "There is a cabinet meeting tomorrow, we will discuss, we are waiting for the copy of the order of the Supreme Court. The (state) cabinet will take a view, meanwhile we will consult legal experts also". "I have also called an all-party meeting tomorrow, in that meeting we will discuss the pros and cons of this order. After taking views and opinion of leaders from all parties we will proceed further," he added. Karnataka will have to release 6,000 cusecs of Cauvery water per day to Tamil Nadu from tomorrow till 27 September, the Supreme Court said today while raising the quantum fixed by the Supervisory Committee yesterday by 3000 cusecs. A bench of Justices Dipak Misra and U U Lalit has also directed the Centre to constitute within four weeks the Cauvery Water Management Board (CWMB) as directed by the Cauvery Water Disputes Tribunal (CWDT) in its award. Apparently keeping in mind last week's widespread violence over the Cauvery issue in Bengaluru, Siddarmaiah said, "I appeal to the people, especially to people from Cauvery basin to maintain peace; they should not get carried away by emotions. Government is committed to protecting the interest of the state, its people and its farmers. Every one should cooperate..."
Soon after the Supreme Court's order, the chief minister held meetings with senior state ministers and officials.